Thank you for another successful ProMat show! 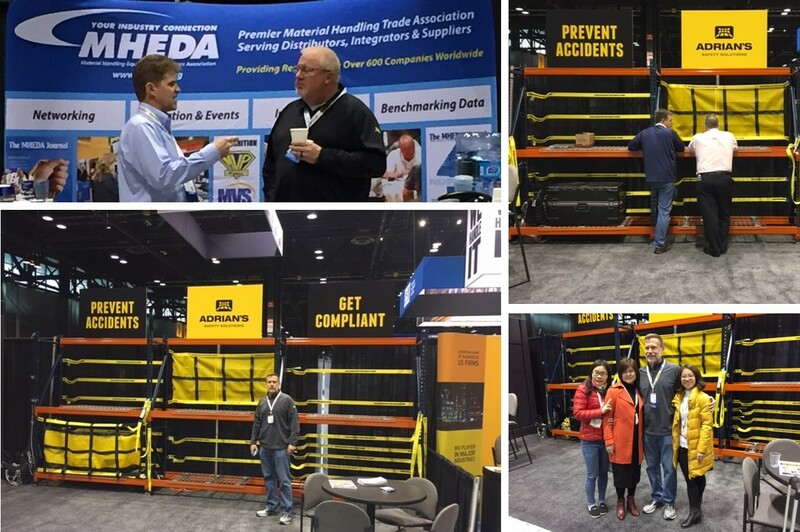 We are so thankful for those who stopped by our booth and for the positive feedback we received on our innovative line of pallet rack safety products. We are proud to offer products that provide a safer workplace environment at a reasonable cost – typically saving 50% or more over traditional solutions. Read more about our pallet rack safety netting and safety straps. Contact a member of our sales team.